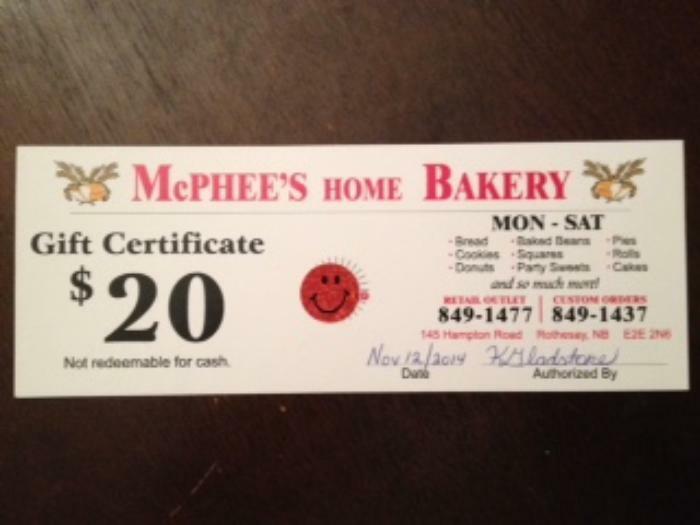 $20 Gift Certificate donated by McPhee's Bakery. If you live anywhere in KV you know this place. Muffins and coffee, butterscotch pie, gingerbread men, home made bread, cheese rolls or a danish, it is all good!